We’re committed to serving the freshest, most delicious coffee to our friends and neighbors—which is why every guaranteed fresh cup is made with carefully sourced, locally roasted beans and brewed fresh daily. Come in and grab your favorite fresh brewed variety or try one of our seasonal blends. Also available ground and in K-cups to take home. The perfect combination of dark, bold espresso and freshly steamed milk. 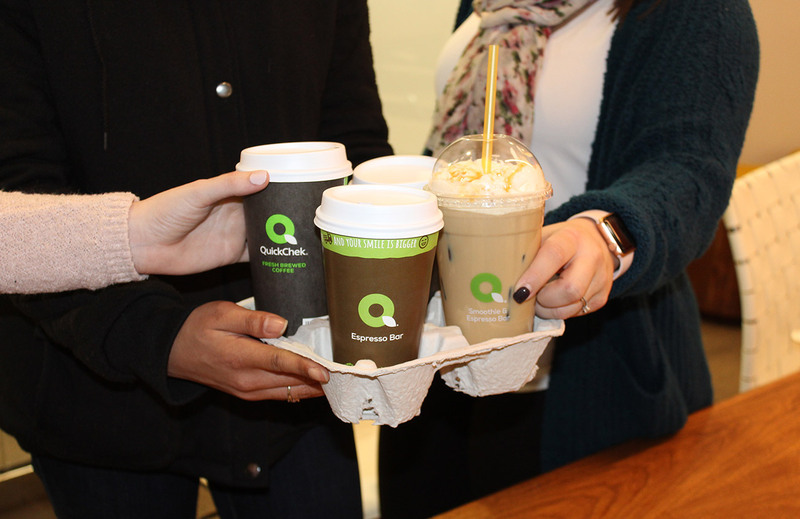 Customize your made-to-order Latte with your choice of milk, decadent flavors and toppings. Freshly steamed, sweetened milk, marked with a shot of bold, fresh brewed espresso and finished with a double drizzle of rich, buttery caramel sauce. What’s not to love? Treat yourself to a made-to-order cappuccino, made with fresh brewed espresso blended with steamed milk and topped with a frothy foam. Make it your own with your choice of milk, extra shots of espresso and your favorite flavor. Fresh brewed with our finest tea blends, varieties like black tea, raspberry black tea and watermelon hibiscus available sweetened with pure cane sugar or unsweetened. An enticing combination of sweet, delicate aromas and bold exotic flavors blended with freshly steamed milk. Treat yourself to a rich, creamy, decadent hot chocolate—available year-round and made any way you want! Choose from our signature and seasonal varieties. The perfect perk-me-up! Discover the rich, bold flavors of our fresh brewed dark roast espresso, served as single, double or triple shots. When you’re in the mood for something a little different, our smooth, rich steamers are made with freshly steamed milk, your choice of flavor and topped with whipped cream. Keeping it simple has its perks! Like a freshly made Americano featuring a shot of dark, bold espresso, your choice of flavor and hot water.